Whew ! What a busy day ! I planned TOO MUCH today. This week we are doing an Eric Carle unit. Here are some of the activities we have out today. 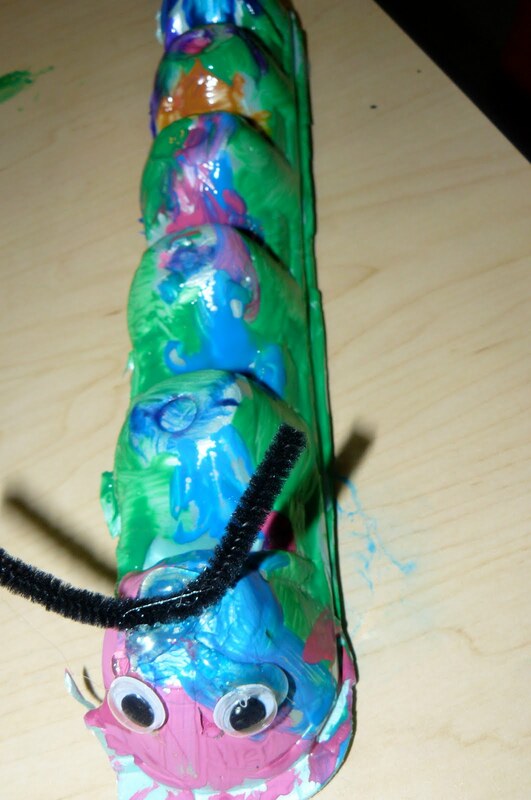 We used tissue paper to make these beautiful caterpillars ! We enjoyed this little you tube video of ” The Very Hungry Caterpillar ” today. Isnt technology amazing ! LOVE love love the picture! Especially Audrey looking at Cohen 🙂 sooo cute! Hope the kids enjoyed the walking stick. Oh my gosh…I'm giggling so hard I'm in tears. I love Herman's voice!!! Next time I want to do this, I'm just going to show my kids this video!